"Heat is part of life at Texas prisons, but federal judge orders one to cool it" was first published by The Texas Tribune, a nonprofit, nonpartisan media organization that informs Texans — and engages with them — about public policy, politics, government and statewide issues. Heat is part of life at Texas prisons, but federal judge orders one to cool it By Jolie McCullough July 20, 2017 ROSHARON — Just 30 miles south of the urban epicenter of Houston, the scene around one of Texas’ oldest maximum-security prisons has a much more rustic quality. The brick buildings of the prison have been part of the rural landscape since 1917 and sit among acres of farmland at the end of a long, tree-lined road. Prison officials clad in boots and cowboy hats patrol the grounds on horseback, and inmates are hauled in from work duty in the fields on a wagon hitched to a tractor. On a recent muggy July morning, visitors and staff at the main gate dropped their identification into a cloth bucket attached to a rope pulley so the guard in the tower could hoist up their cards and approve their entry. Inside the prison's main hallway, industrial fans roared against the heavy air. The Darrington Unit, like almost 75 percent of the state’s prisons and jails, has no air conditioning in the inmates' living areas. The Darrington prison sits among farmland at the end of a long, tree-lined entrance. Jolie McCullough / The Texas Tribune The lack of cooling in Texas prisons has thrown both controversy and an ongoing class-action lawsuit onto the Texas Department of Criminal Justice. Inmates at another Texas prison claim that the heat constitutes cruel and unusual punishment and argue that prison housing should be kept at a maximum of 88 degrees. On Wednesday, a federal district judge in Houston agreed, issuing a scathing order against the department and ordering that air conditioning be provided for medically-sensitive inmates at the Pack Unit southeast of College Station within 15 days. “Each summer, including this one, Plaintiffs face a substantial risk of serious harm from the sweltering Texas heat, and Defendants have been deliberately indifferent in responding to this risk,” Judge Keith Ellison wrote in his 101-page ruling. The injunction was a big victory for the inmates at the Pack Unit, but the case isn’t over. The state announced Wednesday afternoon it would appeal the judge's temporary order, which expires after 90 days. An appeals court is considering whether the underlying lawsuit can remain a class-action and apply to the entire prison instead of only the plaintiffs. But Ellison said in his Wednesday ruling that the plaintiffs are “likely” to succeed when the case goes to trial, which would result in permanent changes at the unit. Jeff Edwards, an attorney for the Pack Unit inmates, said he expects the trial to begin later this year. Edwards said Wednesday’s ruling was “significant” and “makes it clear that the Constitution applies to everybody, which I think is important and frankly can’t be said enough.” In a statement, Texas Attorney General Ken Paxton said expensive air conditioning systems are “unnecessary and not constitutionally mandated.” “The judge’s ruling downplays the substantial precautions TDCJ already has in place to protect inmates from the summer heat,” Paxton said. 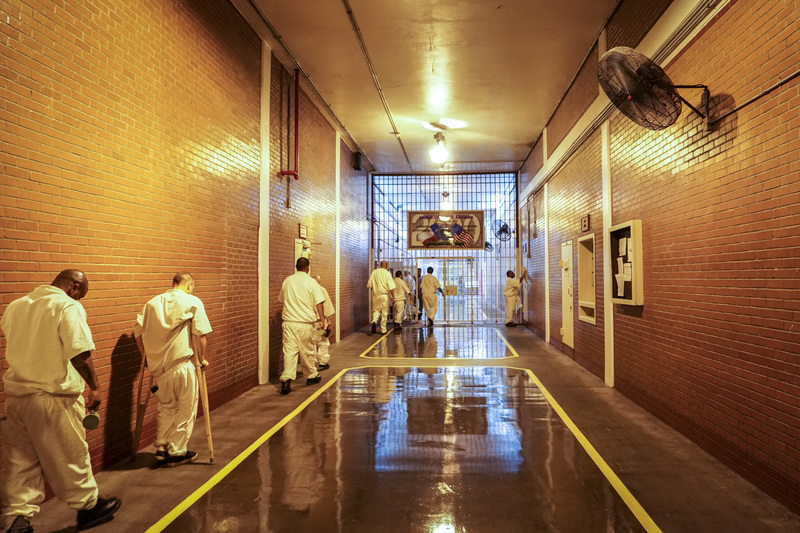 “We’ll appeal the decision and are confident that TDCJ is already doing what is constitutionally required to adequately safeguard offenders from heat-related illnesses.” Fans and ice water Most of the inmate plaintiffs in the lawsuit, filed in 2014, have medical conditions or are taking medications that makes hot summer days more dangerous. The lawsuit points to 23 deaths and hundreds of illnesses related to heat in Texas prisons since 1998 and says that elderly, disabled and “medically sensitive” inmates — including those with heart disease, diabetes and obesity, or those taking medications like anti-psychotics that impair the body's natural cooling system — should be protected from extreme heat. Judge Ellison ruled that those inmates should have air conditioning. TDCJ has maintained that there are sufficient measures in place to safely cool inmates. 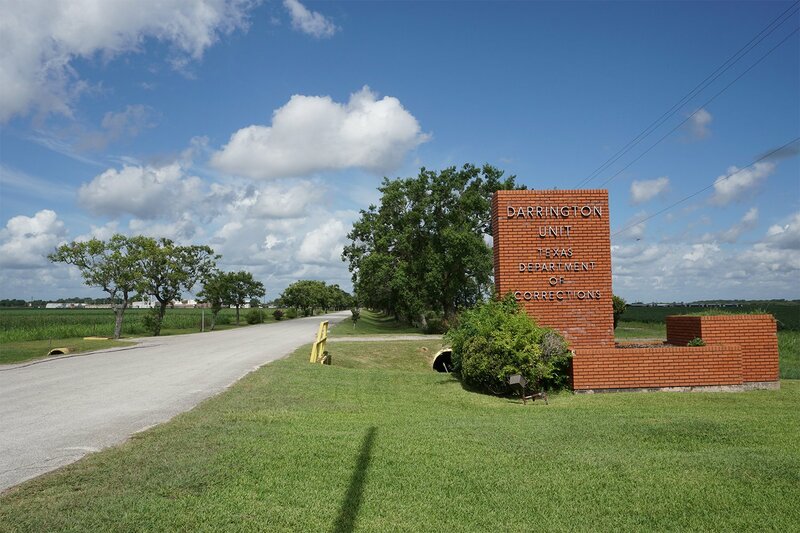 “The safety and security of not only our staff, but our offenders that we are charged with overseeing is paramount to us,” TDCJ spokesman Jason Clark said from an office inside the Darrington Unit last week. “So we take numerous precautions to ensure that we mitigate those extreme temperatures. And we believe those mitigating efforts are effective.” The department does have a number of measures in place to combat the heat and humidity in Texas prisons, including unlimited ice water, personal fans, wellness checks for high-risk inmates, and access to “respite” areas with air conditioning — like the chapel or classrooms. Clark said they are continuously monitoring and updating heat protocols each year. “Each summer we continue to refine our processes better and better,” Clark said. Hear Darrington inmate John Rago speak on living at a Texas prison in the summer heat. At Darrington, inmates excitedly mentioned the new addition of large fans in the main hallway and the relatively recent addition of unlimited ice water. “Now that we’ve got the ice coolers and the new fans, compared to eight years ago it’s a whole lot better,” 29-year-old Anthony Brown said as he cooled off before getting his weekly haircut in the air-conditioned barbershop. Brown has served nine years of a 45-year murder sentence, according to TDCJ records. Still, there was no denying the heat and humidity building within the prison walls by mid-morning. In the cells, men lay on their beds in boxers with personal fans pointed at them. After about two hours in the prison, Clark indicated it was time to leave and joked to the warden that he “only brought one shirt.”&nbsp; In his ruling on the Pack Unit, Judge Ellison called the steps taken by the department “the bare minimum.” “They have implemented mitigating measures that they know, or should know, are ineffective given the extreme heat at the Pack Unit, and they have failed to consider seriously the many more effective options available to them,” he wrote. Aside from air conditioning for higher-risk inmates, Ellison's injunction also requires the temporary addition of new window screens in all housing areas so inmates can let in fresh air without being harassed by mosquitoes and other insects. The injunction also orders the department to implement a plan of action for heat waves, citing the heat-related deaths of at least 10 TDCJ inmates during a heat wave in 2011, according to the ruling. Cost estimates vary for air conditioning In the end, the argument comes down to money. TDCJ said that retrofitting the Pack Unit — built in 1983 — to include air conditioning would be an “undue burden” on the state, according to their court filing. The state has spent more than $2.1 million defending the lawsuit as of May, according to records from the Attorney General's Office. “Prisons built in the eighties and nineties, which were specifically approved by the federal courts…didn't include air conditioning because of the added construction, maintenance and utility costs,” the department said in its official statement on the ongoing lawsuit. Estimates for adding air conditioning to the prison vary enormously. In the June hearing, an expert put the cost at $450,000 to install units for the housing areas, and $175,000 in annual costs, according to the plaintiff’s filings. A study contracted by TDCJ put the bill at more than $22 million to install air conditioning in all of the unit, and $477,678 a year to operate. To install temporary air conditioning for only this summer, the prices differed from the plaintiffs' expert's estimate of $108,000 to the state's $1.2 million. The judge's ruling called the state’s estimates “overstated,” and Ellison said TDCJ’s large budget should be able to cover the expenses. As a cost-saving option, he said the prison could "re-configure areas that are currently air conditioned to accommodate the heat sensitive, or move them to other facilities in Texas." Inmates shuffle past new fans in the Darrington prison's main hallway on a hot July day. Jolie McCullough / The Texas Tribune “Even if the remedies ordered would be ‘fiscally catastrophic’ for TDCJ, as Defendants maintain they are, the Fifth Circuit has held that ‘inadequate resources can never be an adequate justification for depriving any person of his constitutional rights,’” he added. And if the courts eventually rule that the state needs to spend the money to permanently install air conditioning at the Pack Unit, will that lead to similar rulings for the other 77 of Texas's 106 prisons that lack air conditioning for inmates? Edwards, the plaintiffs' lawyer, said while the lawsuit only applies to the one prison, the reasoning behind the lawsuit could “easily apply to any if not all” Texas prisons. “The Pack Unit is not an anomaly in terms of how hot it gets,” he said. But that decision won’t be made for a while. Meanwhile, the inmates at Darrington and most other Texas prisons have to deal with the heat.&nbsp; Robert Stewart, a bald, quiet 50-year-old murder convict with one eye, got a break from the heat of his prison cell awaiting a church service in the prison’s high-ceilinged and air-conditioned chapel. “After a while you adjust to it,” Stewart mumbled while holding a manila folder labeled “Anger management.” “You don’t have much of a choice, you just have to accept it. It’s not something I’d recommend to anyone.” Reference U.S. District Judge Keith Ellison's July 19 injunction ruling (1.0 MB) DOWNLOAD Read related Tribune coverage Family Sues TDCJ Over Heat-Related Death Report: Prison Heat Violates Basic Human Rights "Heat is part of life at Texas prisons, but federal judge orders one to cool it" was first published at by The Texas Tribune, a nonprofit, nonpartisan media organization that informs Texans — and engages with them — about public policy, politics, government and statewide issues. Link back to the original article, which is located at https://www.texastribune.org/2017/07/20/texas-prison-heat-air-conditioning-lawsuit/.